As far as I’m concerned Mercy Hospital is the best kept secret in Pittsburgh when it comes to labor and delivery. I simply cannot say enough about their tremendous team of doctors, nurses, and staff. I have had the privilege of delivering all four of my children there and thank them all from the bottom of my heart for their dedication to their professions and care and commitment to mothers and babies. Dr. Michael Lupinetti has been my OB/GYN for nearly fifteen years. He is not only a phenomenal physician, but also an amazing person who cares for his patients with the utmost respect and gentility. Over the years, he has cared for me during the most important times of my life. He is the very best at his craft and Frank and I will forever be grateful to him. We will consider him family always. Additionally, I cannot say enough about his office nurses and staff, who have also treated us like family and we thank them for their phenomenal care and support as well. Dr. Lupinetti practices with UPMC-Greater Pittsburgh OB/GYN. He also works closely with Dr. Stephanie Nicholas, who delivered one of my twins as well as our newest addition just a few weeks ago. She is very focused and committed to her patients as well. Frank and I have always been amazed by her attention to detail and professionalism. I would be remiss if I didn’t also mention and thank Dr. David Badway, who delivered our son over four years ago. He will always hold a special place in our hearts. The nursing staff at Mercy still consists of many of the same team members that we met over four years ago! (That says something in an of itself!) Both Frank and I truly felt at home when we walked into the labor and delivery wing this past time. We were welcomed with hugs and best wishes from some of the same nurses that helped bring our other three children into the world. We were also met by some new faces, who were just as lovely, kind, and professional. In addition to the personnel, Mercy has an excellent facility. The rooms are large, clean, and well appointed. Unless your circumstances warrant an operating room for delivery, absolutely everything takes place in your initial room. Labor, deliver, and post-delivery care are all in one room, allowing mother and baby to experience a seamless, calm and peaceful recovery. Baby barely leaves mom’s side unless mom needs some rest. It is just a wonderful experience. To everyone associated with Mercy Hospital’s Labor and Delivery team, we thank you and commend you on your hard work, long hours, and dedicated hearts. You are all angels among us and we have been honored to be a part of your journey. Dr. LUPINETTI was incredible, I can’t say enough about his professionalism, quick action when I had contractions, his ability to manipulate the baby and quick delivery. Incredible doctor with the highest degree of competence and professionalism! The same can be said about UPMC Mercy Hospital anasthesia doctors and nurses. 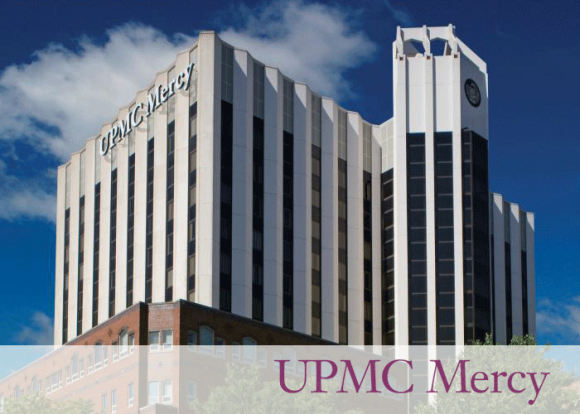 I had a medical issue that was treated at Magee Hospital last year, however, UPMC Mercy staff was way more professional, courteous and quick on their feet! While I can agree their labor and delivery staff are amazing, their NICU staff is the worst bunch of people I’ve ever met. My son stayed five days, and they were all incredibly rude. They made fun of babies and parents while my husband and I were in the room, they ignored the cries of babies, and played on their personal phones the entire day. One nurse who wad there overnight knew absolutely nothing about breastfeeding and gave us terrible information, which was refuted by their lactation consultant, but she insisted she was right. I refused to leave my baby in her care and had to sleep in a rocking chair overnight. The entire night, she continued to shout at us, and I did all I could not to respond. Parents of NICU patients should be treated with fragile care, not shouted at by ride nurses. Thank you so much for the wonderful post about our Family Maternity Center at Mercy. We all enjoy what we do and it means more than words can say when our patients acknowledge what we do. We also feel that we are the Best Kept Secret in Pittsburgh. Thanks a million for sharing your experience!!!!! !